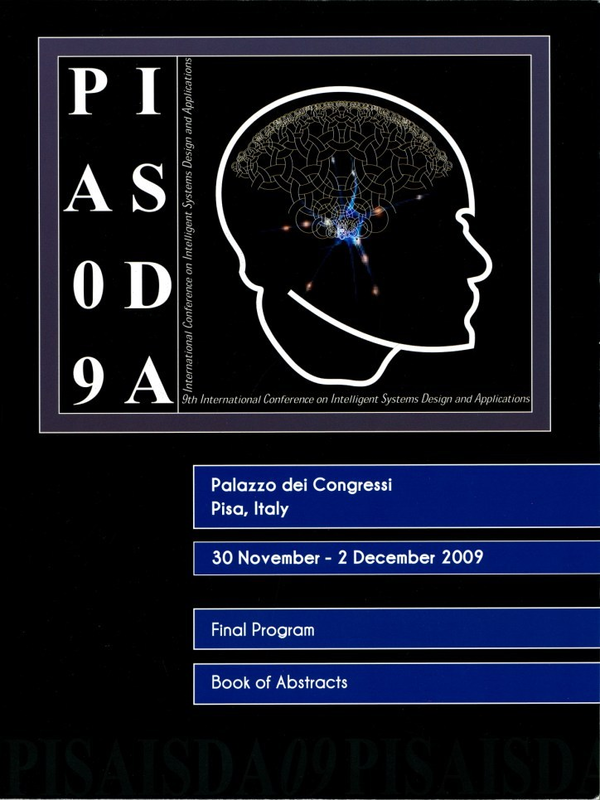 The 2nd ACIDCA'2005 International Conference on Machine Intelligence. Tozeur (Tunisia), November 5-7, 2005. Conference Co-Chair: F. Herrera. Organizing Committee Chair: J. Casillas. Proceedings of the 23rd International Conference on Industrial Engineering and Other Applications of Applied Intelligent Systems (IEA/AIE 2010), Part I. 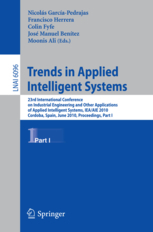 Proceedings of the 23rd International Conference on Industrial Engineering and Other Applications of Applied Intelligent Systems (IEA/AIE 2010), Part II. Proceedings of the 23rd International Conference on Industrial Engineering and Other Applications of Applied Intelligent Systems (IEA/AIE 2010), Part III. Proceedings of the 9th International Conference on Intelligent System Design and Applications (ISDA 09). Pisa, Italy, Nov 29th-Dec 2nd. Proceedings of the 8th International Conference on Hybrid Intelligent Systems. Proceedings of the 3rd International Workshop on Genetic and Evolving Fuzzy Systems (GEFS'2008). Actas de las 1ª Jornadas de Algoritmos Evolutivos y Metaheurísticas (JAEM'2007). Actas del II Simposio sobre Lógica Fuzzy y Soft Computing (LFSC'2007). Actas del I Simposio sobre Lógica Fuzzy y Soft Computing (LFSC'2005). Actas de las V Jornadas de Bibliotecas Digitales (JBiDi'2005). Actas del IV Congreso Español sobre Metaheurísticas, Algoritmos Evolutivos y Bioinspirados (MAEB'05) I.
Actas del IV Congreso Español sobre Metaheurísticas, Algoritmos Evolutivos y Bioinspirados (MAEB'05) II. Proceedings of the I Internacional Workshop on Genetic Fuzzy Systems. Workshop de Minería de Datos y Aprendizaje (IBERAMIA 2002). Actas del Primer Congreso Español de Algoritmos Evolutivos y Bioinspirados (AEB'02). 2007 IEEE International Conference on Fuzzy Systems (FuzzIEEE 2007), Londres (UK), July 2007. 2006 IEEE World Congress on Computational Intelligence, IEEE International Conference on Fuzzy Systems (FUZZ-IEEE 2006), Vancouver, Canada, 2006. Fuzzy Rules Learning Methods for high dimensional problems. International Conference on Information Processing and Management of Uncertainty in Knowledge-Based Systems (IPMU 2006), Paris (France), July 2-7, 2006. Toma de Decisiones: Modelad y Agregación de Preferencias Difusas (I, II y III). XIII Congreso Español sobre Tecnologías y Lógica Fuzzy (Estylf'06), Ciudad Real (España), 20-22 Septiembre 2006. Neural, NeuroFuzzy, and Statistical Learning Methods and Applications. Tenth International Conference on Information Processing and Management of Uncertainty in Knowledge-Based Systems, (IPMU 2006), Paris, France, July 2006. Aplicaciones de la búsqueda dispersa. Cuarto Congreso Español de Metaheurísticas, Algoritmos Evolutivos y Bioinspirados (MAEB'05). Granada (Spain), September 13-16, 2005. 2nd International Conference on Machine Intelligence (ACIDCA-ICMI 2005), Tozeur, Tunisa, 2005. Soft Computing for information access on the Web. Joint 4th EUSFLAT & 11th LFA Conference, Barcelona (Spain), 7-9 September, 2005. 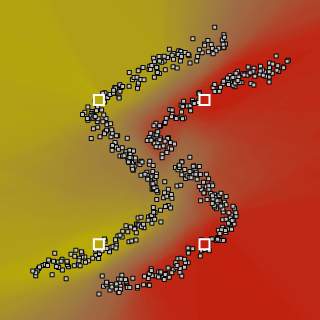 Evolutionary Fuzzy Systems (I & II). 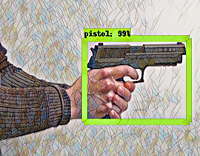 Soft Computing para la Recuperacion de Informacion en Internet. Decimosegundo Congreso Español sobre Tecnologías y Lógica Fuzzy(ESTYLF'2004), Jaen (Spain), September, 2004. Conferencia de la Sociedad Europea de Tecnología y Lógica Fuzzy, Peruggia, Italia (IPMU'2004), July, 2004. Tercer Congreso Español de Metaheurísticas, Algoritmos Evolutivos y Bioinspirados (MAEB'04). Córdoba (Spain), February 4-6, 2004. Algoritmos Evolutivos con Codificación Real: Modelos y Aplicaciones. Segundo Congreso Español de Metaheurísticas, Algoritmos Evolutivos y Bioinspirados (MAEB'03). Gijón (Spain), February, 2003. CWW under a Fuzzy Logic Approach: Models and Applications. Fuzzy Approaches to Information Retrieval and Information Access on the Web. Organization of Mini-track (G. Pasi and E. Herrera-Viedma). Proc. Third International Conference of the European Society for Fuzzy Logic and Technology, Zittau, September, 2003. Computing with Words: Foundations and Applications I, II and III. F. Herrera, E. Herrera-Viedma and L. Martínez. 9th IPMU Conference. Annecy (France), July, 2002. 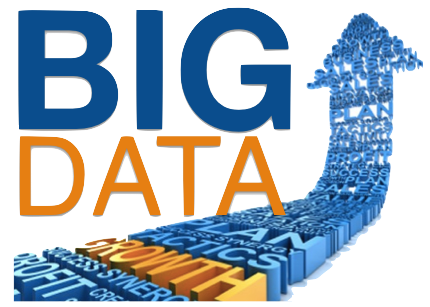 Applications of Artificial Intelligence Techniques to Information Retrieval. O. Cordón and E. Herrera-Viedma. Algoritmos Basados en Colonias de Hormigas: Modelos y Aplicaciones. O. Cordón and F. Herrera. Primer Congreso Español de Algoritmos Evolutivos y Bioinspirados (AEB'02). Mérida (España), February 6-8, 2002. Algoritmos Evolutivos y Recuperación de Información. 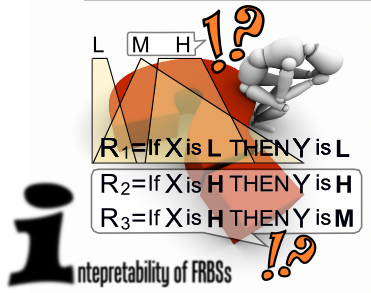 Genetic Fuzzy Systems: New Developments I and II. O. Cordón, F. Gomide, F. Herrera, F. Hoffmann and L. Magdalena. 9th IFSA World Conference. Vancouver (Canada), July 2001. Neural Network and Fuzzy Techniques. J.M. Benítez, J.L. Castro, C.J. Mantas. International Joint Conference IFSA-NAFIPS'01, Vancouver, BC, Canada, July 2001.
International Workshop on Artificial Neural Networks (IWANN'01), Granada, June, 2001. Eigth International Conference on Information Processing and Management of Uncertainty in Knowledge-Based Systems, (IPMU 2000), Madrid, Spain, July 2000. Genetic Fuzzy Systems: Issues and Applications I and II. Modelling Linguistic Preferences I and II. F. Herrera and E. Herrera-Viedma. Computing with Words: Issues and Models. JOINT EUROFUSE-SIC'99 International Conference Fourth Meeting of the Euro Working Group on Fuzzy Sets and Second International Conference on Soft and Intelligent Computing. Budapest (Hungary), May 1999. Genetic Fuzzy Systems I and II. F. Herrera and L. Magdalena. 7th IFSA World Conference. Prague (Czech Republic), July 1997. Genetic Algorithms Applications to Fuzzy Logic Controllers. F. Herrera and J.L. Verdegay. 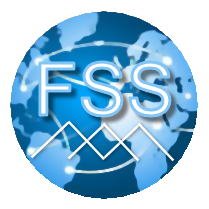 6th IFSA World Conference. Sao Paulo (Brasil), July 1995.